Beautiful glass bead mix, tumbled matte finish, perfect for jewelry and other beading projects. Each sea glass assortment includes combination of 14 different shape/style/size/colors. Over half pound and approximately 500 glass beads per bag. Beautiful glass bead mix with a tumbled matte finish, perfect for jewelry and other beading projects. 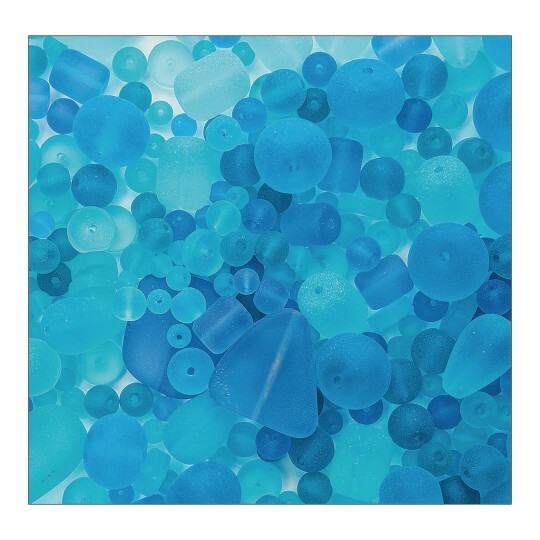 Each sea glass assortment includes a combination of 14 different shape/style/size/colors. Sizes range from 4-25mm. Over a half pound and approximately 500 glass beads per bag.